KAT DYSON - jessica Care moore's Black WOMEN Rock! 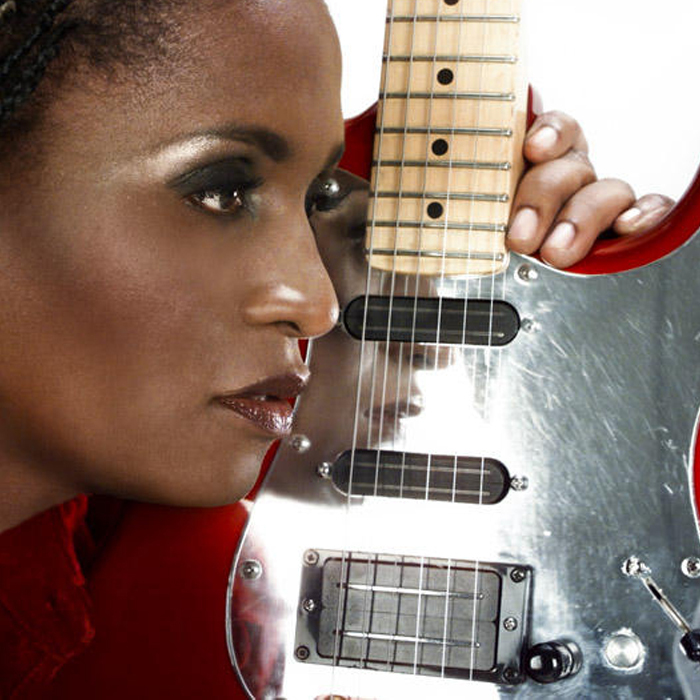 Southern-born guitarist/vocalist Kat Dyson relocated to Los Angeles from Montreal via Minneapolis where she was a featured guitarist & vocalist with Prince as a member of the New Power Generation. Her contributions to this musical alliance can be heard on the following recordings: Emancipation, The Truth and Newpowersoul. Along the way,she has performed with renowned artists including Cyndi Lauper,Natalie Cole,Ivan Neville,Donny Osmond,rap artist T.I.,Seal,Sheila E and C.O.E.D.,Joi,George Clinton and the P-Funk AllStars, MusiqueSoulchild,Phoebe Snow,Res,The Winans,Mary Mary,Yolanda Adams,Big Mamma Thornton, Ben E. King,Bo Diddley, Odetta,Montreal Jubilation Gospel Choir,Celine Dion, Roch Voisine and many others. Her studio work includes sessions for such artists as Keb Mo’,Ziggy Marley,Sheila E.,Dave Stewart (Eurythmics) and Mick Jagger [Alfie soundtrack], Jeff Healey, Jamaican producers Sly and Robbie, Cat Cooer of Third World and Bernie Worrell (Parliament Funkadelic). Before joining forces with Prince, Ms. Dyson is a contributing guitarist and vocalist on the multi-platinum Cyndi Lauper greatest hits album, “12 Deadly Cyns”,along with ‘Sisters of Avalon'”At Last” and “The Body Acoustic.She continues to perform with Ms. Lauper. Highlights of her work in film and television include: As a featured credited musician, her soulful guitar can be heard in the filmscore for DANCING AT THE BLUE IGUANA, starring Darryl Hannah. She also composed and performed several pieces of music for HBO’s acclaimed documentary series AMERICA UNDERCOVER. Since 1998, Ms.Dyson has also been a fixture as lead guitarist in such talk-show house bands as The Wayne Brady Show, The Donny & Marie Show and The Magic Hour, with Sheila E.
She completed over 200 shows with italian rock artist ZUCCHERO on the highly acclaimed FLY TOUR 2007 and ALL THE BEST TOUR 2008. At present, she continues to tour with him on CHOCABECK TOUR 2011. She is a member of the rock trio, CHALLENGE with T.M.Stevens and Cindy Blackman-Santana. 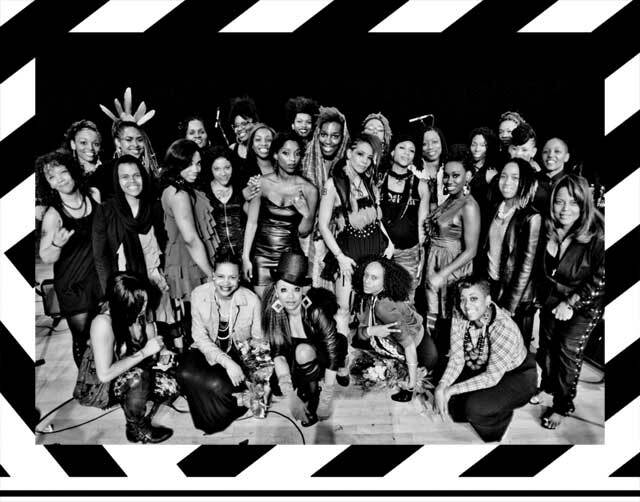 She also continues to be a go-to guitarist for many; including playing for Black Rock Coalition events such as THE BRC all female orchestra, conducted by Tamar Kali. In addtion to releasing her EP ‘COLOUR KOMMENTARY, she continues composing music for television and film in Los Angeles.